What is a School Review? Trimurti Yoga is an international organization promoting and teaching multi-style Yoga. We specialize in professional Yoga Teacher Trainings and Yoga Retreats. Our school is a team of experienced and highly qualified teachers of various yoga styles and traditions, who previously studied under many different masters and teachers – in India, Europe and US. Trimurti is a natural continuation of Bodhi Tree Yoga International (RYS 200), which was one of the most successful international school in India in the past years. We now come together to share the beauty and benefits of yoga – on a practical and theoretical level. We work towards integrating ancient Yogic traditions into our contemporary world and promoting yoga as an art of living as well as a very effective path to complete well-being for the body, mind and soul. We deeply believe that yoga is not only an ancient art, but also a very precious treasure which is extremely helpful in our contemporary world full of stress and anxiety. Our mission is to share our joy, health and bliss with people from all over the world. We are honored to take a part in a charity project “Yoga for Society”, together with an Indian NGO “Loving Lap”. As part of the Yoga Alliance Social Credentialing system, teachers that register with Yoga Alliance must submit a review of the RYS training program they completed. Feedback from trainees provides Registered Yoga Schools with the opportunity to understand their trainees’ experiences in order to continually improve their trainings. By choosing to display comments, schools enable trainees to provide insight into a school’s culture and training which helps potential trainees choose the right teacher training for their individual path with yoga. 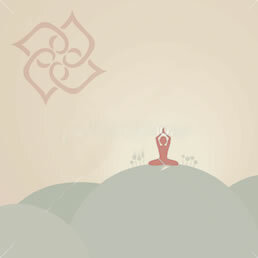 Trimurti Yoga’s 200-hour teacher training prepares its trainees to begin teaching the principles and techniques of yoga safely and competently. Spending 200 hours in Dharmshala Trimurti school is a life changing experience. Not only a wide range of knowledge from philosophy, anatomy, physical and teaching strategies but you also feel like having a new family and a home you never had before. Very comfortable and relaxing atmosphere where you can be overwhelmed every second from various types of information. ı am totally very glad and feel very lucky to choose the right school for me. Trimurti Yoga has a very high quality education and excellent very qualified teachers. My experience at Trimurti was very positive and the teaching team supported me throughout the training. The training was intense, and although at times difficult and emotional, I always felt guided and supported by the team. The classes were well structured and progressed in a logical way to build on my growing knowledge. By the end of the course I felt completely ready and able to teach. My practical exam was a beautiful experience I will never forget. I like the teaching and learning however the facilities were very rudimentary (cold shower, same food everyday) and for that reasons while I will recommend the school I will warn people about the facilities as it is not to everyone liking. I really enjoyed the training with Trimurty, I recieved what I was expected before I came. The way how we were taught was very professional, friendly , openminded, it was sharing the passion of yoga. I gained so many new information about practicing, teaching, anatomy, philosophy, every teacher was very inspiring and showing their own point of view about yoga. We had also very interesting workshops and I really like I was taught different styles of yoga, so I can choose what is right for me.I definitely recommend Trimurti yoga! Yoga Alliance Registry’s Policy on the Use of Yoga therapy Terms in its directory was announced on Jan 25, 2016. Prior to that date, reviews may have contained such references to yoga therapy. Yoga Alliance Registry will not alter the content of preexisting reviews to bring them into compliance with its new policy. Any use of "yoga therapy" terms in a review, however, does not imply that Yoga Alliance Registry sets standards for instruction in yoga therapy techniques or other methods of diagnosing or treating a mental or physical injury or illness, nor that the RYS or RYT designation may be relied on as a qualification for working as a "yoga therapist" or for training others in "yoga therapy" methods.